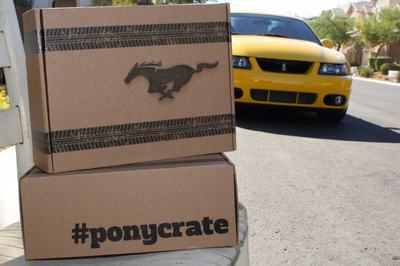 Enter your email address below to receive a notification when Ponycrate starts accepting new sign-ups! 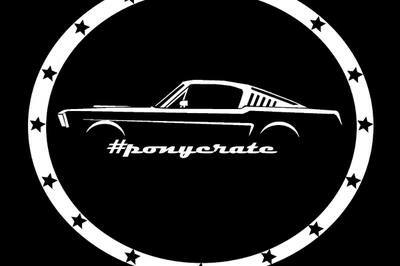 Enter your email address below to receive a notification when Ponycrate is accepting new sign-ups again. We ship between the 11th-15th of each month. 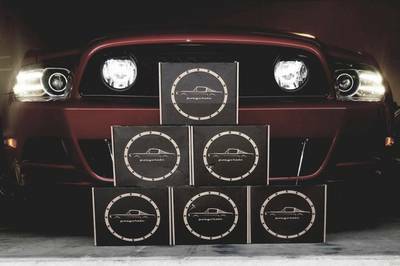 Every box is a surprise, but we promise you will love it as much as you love your car. 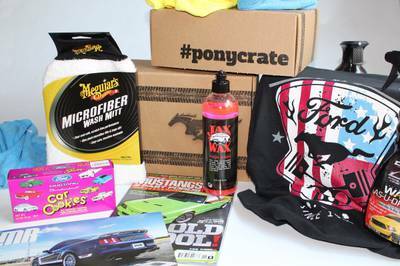 Each month will include a custom designed Mustang T-shirt, the most useful car wash products and a Mustang collectible item. 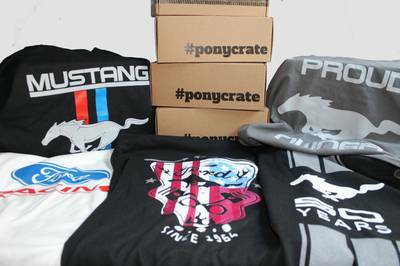 We custom design our T-shirts every month so you can be the best looking Mustang enthusiast at your weekly cruise. We will get your shirt size when you sign up to make sure your shirt fits just right, We only use the best quality shirts to guarantee comfort. We have teamed up with some of the coolest brands to get you the best car wash products possible to use. 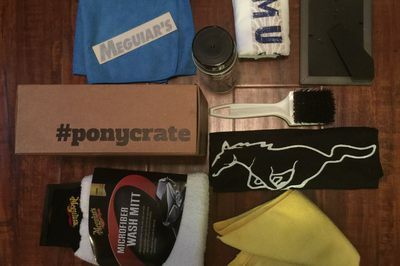 We feature only the best products from brands like Meguiars, Jaxwax and Adams Polishes. 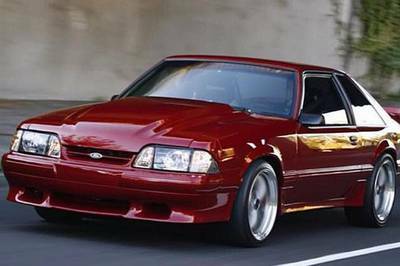 We work hard to find the coolest Mustang collectibles each month. It will be like getting a birthday present every month! 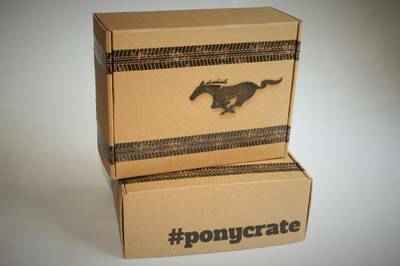 Join now to receive our next monthly subscription box. Choose to be billed monthly or select a 12 month subscription for additional savings. Renews automatically. Cancel anytime.